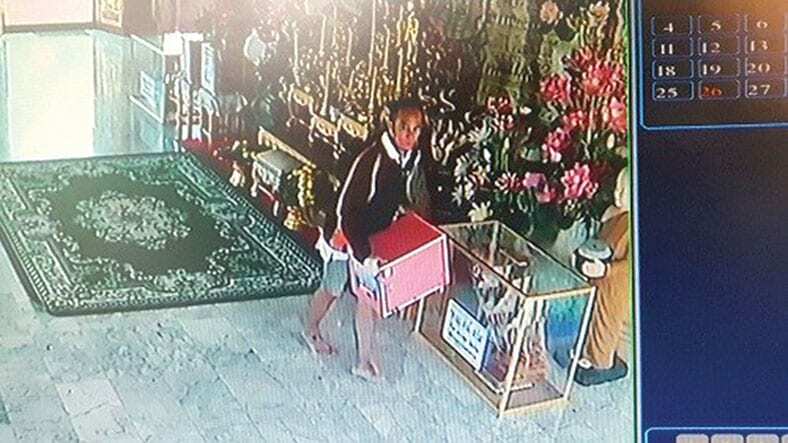 After Police Captain Piyawut Temjai from the Phetchaburi police station was notified by the provost of Wat Koiy, that a donation money box had been stolen from inside the temple, he rushed to the scene to investigate. He was informed that a donation box was missing with money being collected for the Mahachulalongkornrajavidyalaya University, which teaches Buddhist monks. It was estimated that the box held about 5,000 THB. From CCTV footage, the offender was about 40-50 years old, wearing a white short sleeved shirt, black jacket and denim shorts. 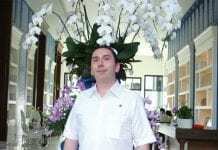 He was seen to enter the temple hall then removed the donation box and left via a back door. He then hid the box behind of the temple and quickly walked away from the area. Later he returned hen back in again without his jacket and wearing a cap, but also with a green plastic bag to cover the hidden donation box.